The North Carolina Symphony is able to carry out our dual mission of music education and statewide service because of the support shown by the people of our state. While the Symphony fills concert halls, ticket sales cover only a portion of the cost to stage our performances and provide music education opportunities. More than one-third of our costs are funded by individuals like you. Your support plays a direct role in bringing orchestral music to more than 250,000 people each year, from Raleigh to Wilmington and Murphy to Manteo—including more than 52,000 schoolchildren. Plus, your gift to the Symphony has an even greater impact because it helps us to meet the State Challenge Grant. This challenge provides $2 million once we have garnered $9 million in non-state funds—meaning we earn an additional 22 cents for every dollar of your support! 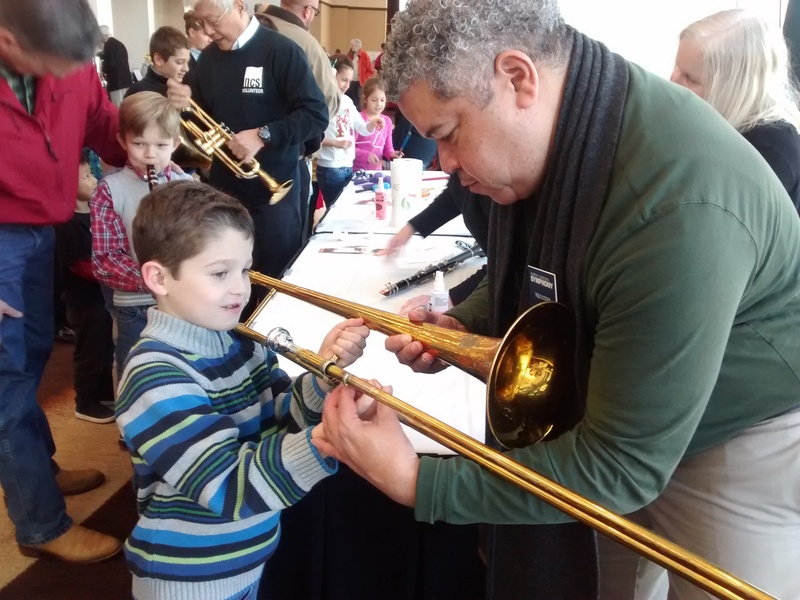 It’s easy to join our family of North Carolina Symphony donors! Call us at 919.733.2750 or toll free 877.627.6724 during business hours, Monday-Friday, 9:00 am – 5:00 pm. Support our extraordinary performances and unrivaled music education programs all year long by joining our monthly giving program. Simply choose a gift of any amount (starting at just $5) to be automatically drafted monthly through your credit card, debit card, or bank account. Monthly giving is an easy and efficient way to give, and this ongoing and steadfast support has a tremendous impact. To make a gift of stock, please use this form. Becoming a donor has many great perks—it’s our way of saying thank you! Make a gift at one of our Giving Circle Levels and receive benefits such as access to open rehearsals, VIP parking, admittance to donor suites at concerts, and invitations to exclusive events. It may be possible to double the impact of your gift! Many companies will match contributions from current and retired employees; some even match the gifts of employees’ spouses. For more information, please contact Rebecca Gunn, Director of Annual Giving, at rgunn@ncsymphony.org or 919.789.5489.